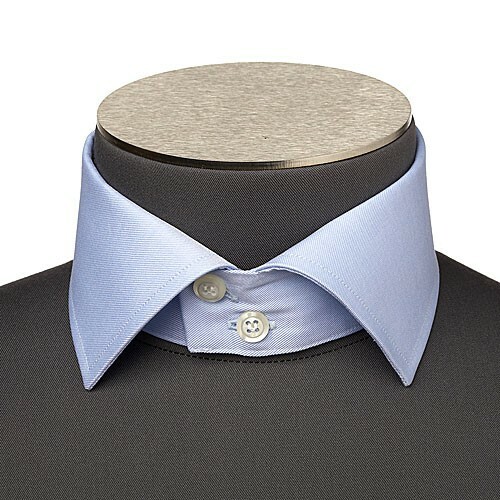 The Italian cutaway two-button collar is identical to the Italian collar except that it has two buttons. As a result it covers more - the collar height being longer than the Italian collar at the front. Those preferring smaller, simpler knots will opt for the Italian cutaway collar whilst those preferring the double Windsor will opt for this, two-button version.